The 2019 4Runner has a few updates from previous models. Some involve available paint options. There is a new trim available, the TRD Pro trim, and a new Nightshade Edition Package will be available as well. Other than these two options, the 2019 4Runner is the same 4Runner we have all come to love. The new TRD Pro trim will be available for the 2019 Toyota 4Runner. The optional TRD Pro trim will make the car much more suited for off-road terrain. This trim will have you sitting about an inch higher off the ground than the regular stock 4Runner. The wheels are also an improvement in this trim, made of a matte black TRD alloy and measuring 17 inches. The new package Nightshade Edition Package gives the SUV a sharp, "blacked-out" look. The chrome front moldings will be black, along with the back and front bumpers. The wheels that come with this package are 20 inches, and of course, black. The window moldings, roof rails, and the exhaust tip are all black as well. The Nightshade Edition package is offered as an extension of the 4Runner Limited. 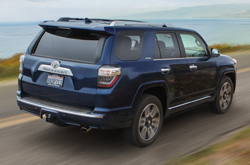 What Drivetrain Powers the 2019 4Runner? Underneath the hood of the 2019 Toyota 4Runner, expect to find the same great engine that has been previously used. The 4.0 liter v6 brings about 270 horsepower to get you going where you need to be. 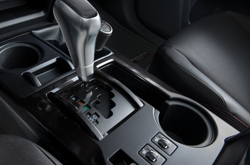 Also, the 4Runner will have a 5 speed automatic transmission. The 4.7 liter v8 that has been offered in the past will not be available in the 2019 4Runner. How Is Safety Improved in 2019? 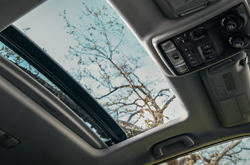 The 2019 Toyota 4Runner comes with the Star Safety System, which basically keeps the vehicle from sliding around with traction control, stability control, brake assist, smart stop technology, and more. In the event of an accident, airbags will deploy from many areas, keeping your thorax, abdomen, and pelvis safe. If small kids are riding in the car, there is a window lock feature to prevent them from rolling their windows all the way down. The tire pressure monitoring system will let you know anytime you have a tire that needs some air, so there's no need to check tire pressure manually before driving. Also, you can subscribe to Safety Connect for a high quality emergency assistance service. With Safety Connect, help can be there in a very short amount of time or they can even locate your vehicle for you if it has been stolen. If you have any questions about the safety or performance, please feel free to contact us.